For some people, learning to scuba dive is the first step in a part-time or full-time scuba career. 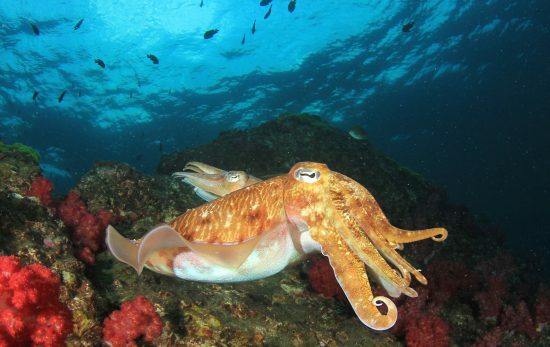 For others, scuba diving is an activity they are passionate about, but haven’t enjoyed for some time. Whether you don’t dive very often due to limited free time, a bad experience, or total burnout, here are a few tips to help you (or a dive buddy) rekindle their love of scuba diving. What attracted you to diving in the first place? Was it the chance to travel? See interesting creatures? Meet new people? Escape from the “real world”? Remind yourself what it was that made you smile for the rest of the day or yell “Yaaaaas!” through your regulator – and seek that out. Go for a fun dive – It’s common for scuba diving professionals to dive every weekend, but rarely dive just for fun. Teaching scuba is very rewarding, but it’s also a big responsibility. Many instructors and divemasters can reignite their passion for diving by taking time out to fun dive, shoot underwater images, or visit an exotic destination sans students. Try something new – Both recreational divers and PADI® Pros can benefit from trying something new: a new dive site, or a new diving skill. Night diving, rebreather diving and full face mask diving are just a few options. 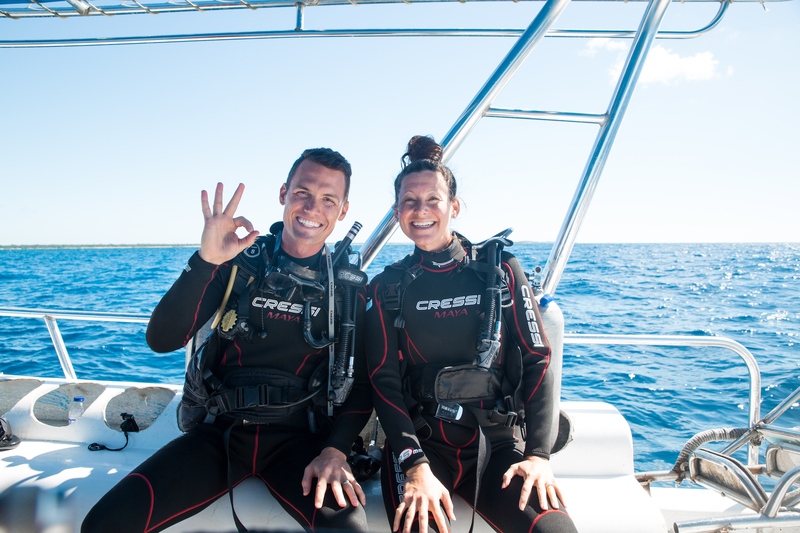 Go diving with someone new – As any PADI Pro can attest, there’s nothing like experiencing the underwater world with someone for the first time. 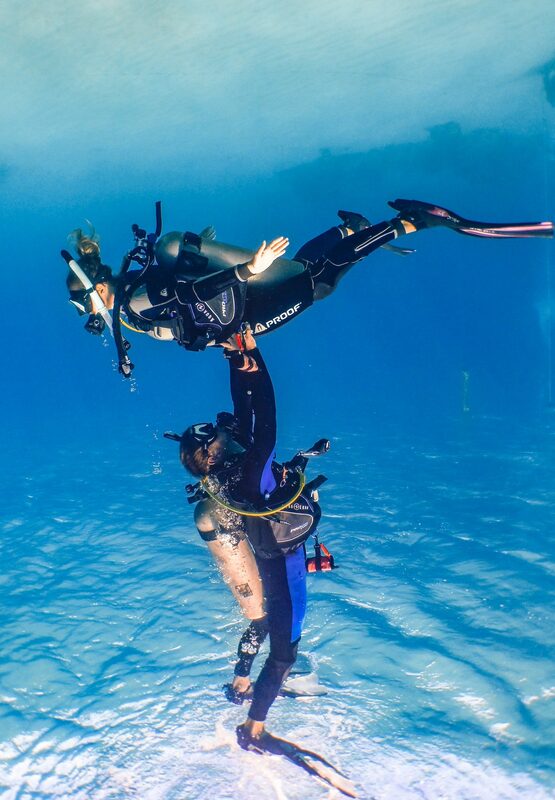 If you’re not a PADI Pro, discover how rewarding this feeling can be. Show people your favorite underwater nooks and crannies and introduce them to the local marine life. If you have young people in your life, find out if they’re interested in learning to scuba dive, and ask your local PADI Dive Center or Resort about a summer scuba camp. Or, check out the Kids Sea Camp schedule and book an unforgettable week of family memories. If you’re like most people, if something isn’t scheduled in your mobile device, it isn’t really happening. Find a local dive club that hosts regular diving activities and add some to your calendar. If your local dive shop doesn’t have an organized group, check MeetUp.com. If you’ve been diving for awhile, it’s easy to get stuck in a rut: diving the same sites or saying “no” to activities you’re unfamiliar with. Try saying “yes” to the next three diving opportunities that come your way whether it’s taking part in a beach cleanup, posing for an underwater photo, or planning a haunted dive site. The experiences may reinforce things you knew to be true, or you might just find a new passion or friend. Caveat: always dive within the limits of your training and experience. If you’re not close to a week or month of time logged underwater, that’s okay, aim for 100 dives and plan something special for when you reach your goal. It could be an outing with all your dive buddies along the way, or a gear purchase to commemorate your accomplishment. 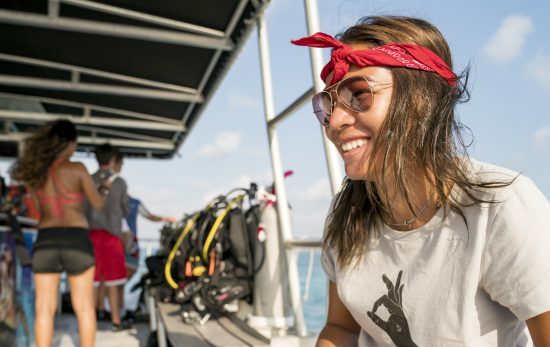 Find a female friend and commit to participating in PADI Women’s Dive Day 2019 (20 July 2019) and plan a fun day together. Commit to taking 12 great underwater photos you can use to make a calendar and give it as a gift to your friends. 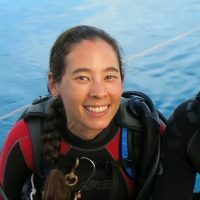 If the list of things you don’t like about diving has gotten longer than the list of things that you DO like, consider how a few small changes can improve your enjoyment of diving immensely. The right gear can go a long way to making diving more comfortable and enjoyable. Upgrading to spring straps on your fins can make getting in and out of the water surprisingly easier. If you find you’re often cold after diving, don’t tough it out, get a new wetsuit or try diving a dry suit. Feeling in a photography rut? Try macro photography, or switch to video. Nervous about getting back in the water? If it’s been a few years since you last went diving, or if your initial scuba class didn’t give you the confidence to continue diving, try PADI® ReActivate™. ReActivate is designed to help divers gain confidence before jumping back into the water. – First you’ll review key safety procedures and basic scuba concepts at your convenience using a desktop or mobile device. You can move quickly through topics that are familiar, and spend more time reviewing things you may have forgotten. – Then you’ll jump in a pool or other confined water environment with a PADI Professional. You’ll practice setting up gear, and take time to get comfortable in the water. – ReActivate also includes a new certification card with your ReActivated date on it. Not sure if ReActivate is right for you? Read the Top 7 Signs You Need a Scuba Refresher Course.